Broadly tunable lasers have had, and continue to have, an enormous impact in many and diverse fields of science and technology. From a renaissance in spectroscopy to laser guide stars and laser cooling, the nexus is the tunable laser. Tunable Laser Optics offers a transparent and comprehensive treatment of the physics of tunable laser optics based on a detailed description of first principles. Authored by a leading expert in the field, the book covers the optics and optical principles needed to build lasers, the optics instrumentation necessary to characterize laser emission, and laser-based optical instrumentation, addressing key topics such as Dirac’s notation, the interferometric equation, the uncertainty principle, pulse compression, and tunable narrow-linewidth lasers. 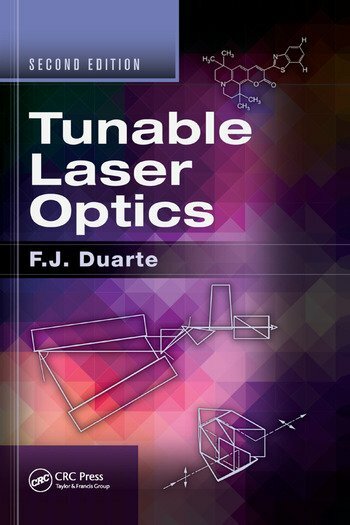 Emphasizing the utilitarian aspects of the optics and theory, Tunable Laser Optics, Second Edition provides valuable insight into the optics and the trade-offs involved in the design and construction of tunable lasers and optical devices. It makes an ideal textbook for advanced undergraduate-level and graduate-level optics courses for physics and engineering students, as well as a handy reference for researchers and experimentalists. F. J. Duarte is a research physicist with Interferometric Optics, Rochester, New York, USA, and an adjunct professor at the University of New Mexico, USA. His career as a laser physicist encompasses academia, industry, and the defense establishment. He holds a Ph.D in physics from Macquarie University, Sydney, Australia, where he was a student of the well-known quantum physicist J. C. Ward. Dr. Duarte is the author of the generalized multiple-prism dispersion theory, has made unique contributions to the physics and architecture of tunable laser oscillators, and pioneered the use of Dirac’s quantum notation in interferometry, oscillator physics, and classical optics. "The book’s emphasis on the tuning optics provides the common thread connecting the wide range of laser systems discussed and makes it particularly useful to anyone using or constructing tunable laser systems. This Second Edition of Tunable Laser Optics extends the material presented to be applicable to quantum well, quantum cascade, and quantum dot lasers. These additions, as well as a discussion of Bragg gratings as a tuning element ensure this book is relevant to recent developments in laser physics." "I like the examples given in the text… Even a physicist not expert in laser optics can replicate the examples, test the theory, and design such good lab experiments for students… The topics presented are well referenced and several results are shown with pictures and numerical data. … I think that this book gives a thorough review of laser optics with many worked out examples … These kinds of detailed descriptions of the experiments are not easy to find in a textbook." "Dr. Duarte is the world’s foremost expert in the area of tunable lasers and has once again written what will become the standard reference for laser researchers. His use of the Dirac Optics notation for compact and concise tracking of the interferometers spectral tuning is not only brilliant physics but also brilliant pedagogically! … a definite must have for anyone interested in designing or understanding the physics and engineering of tunable laser systems. It will be a standard for both professionals and students alike!" "I want a copy of this book. Nowhere else is there such a clear and concise description of the Dirac-Feynman, and dare I add, Duarte, approach to diffraction and interference theory and applications. This is using quantum mechanics in a very pragmatic and useful way!" "… concise, accessible, and comprehensive. It starts from the essential physics, and mathematically builds the fundamental equations governing the phenomena in a clear manner, with outstanding use of figures to illustrate the various points. Incorporation of numerous examples of experimental data alongside the analytical calculations provides an excellent grounding for the reader, and sets the material apart from other presentations I have seen." —Kathleen M. Vaeth, MicroGen Systems Inc.